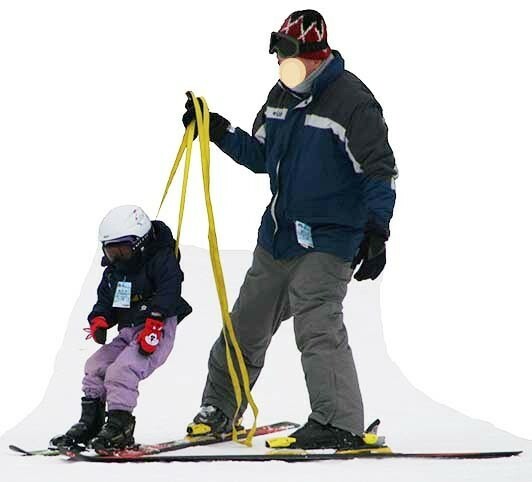 Why use a Ski-Pal instead of a harness? 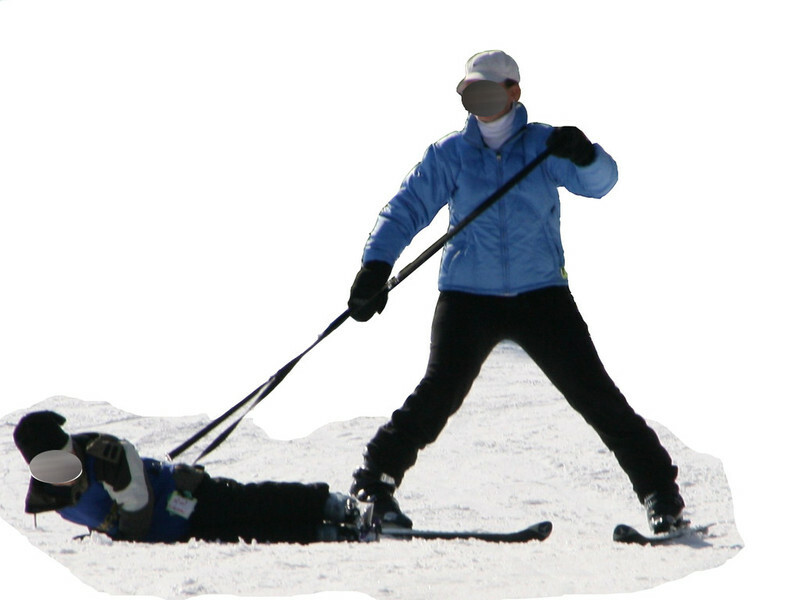 It's very simple. 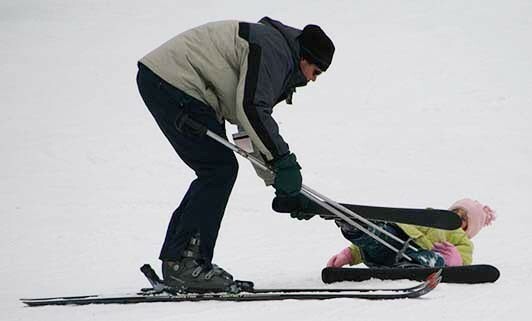 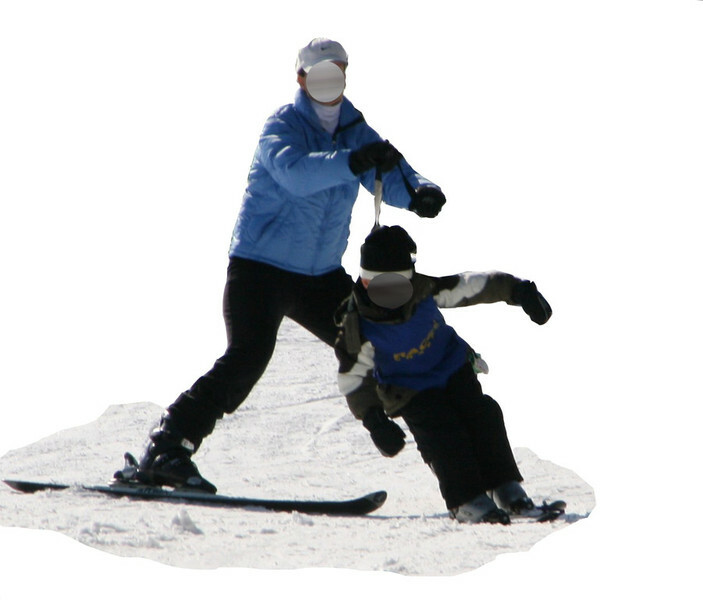 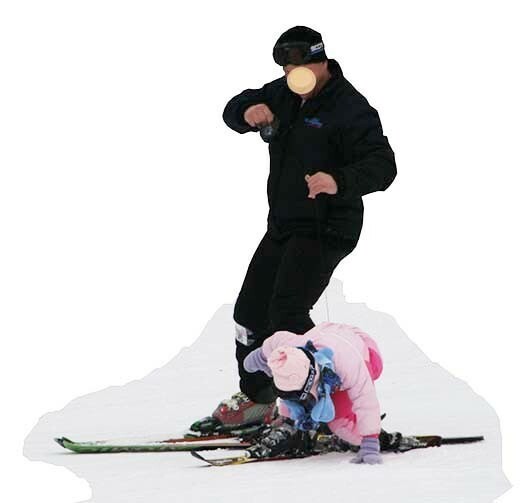 In the beginning stages of learning to ski, the harness & leash serves as nothing more than a preventative runaway tool. 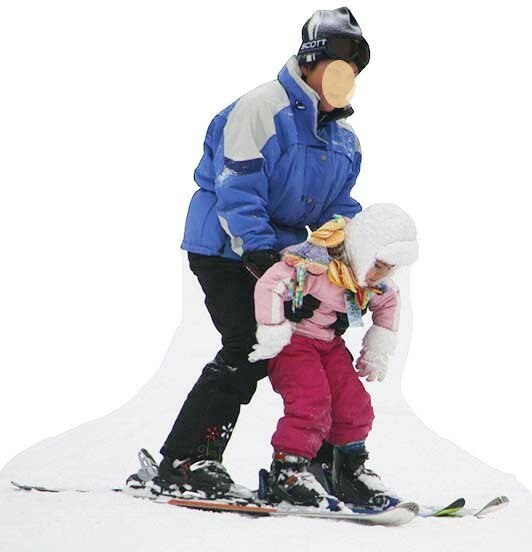 It provides no lateral support to the learner which translates into lots of falling. 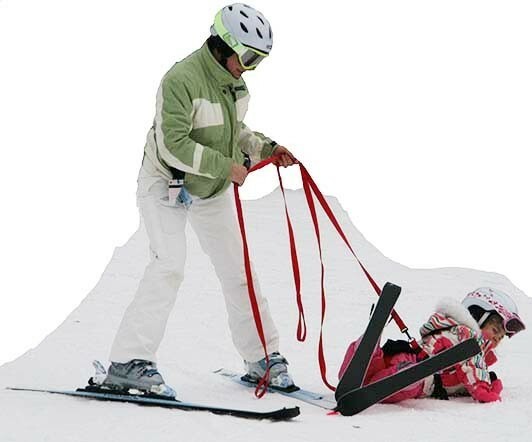 See the picture gallery below of parents using the harness & leash. 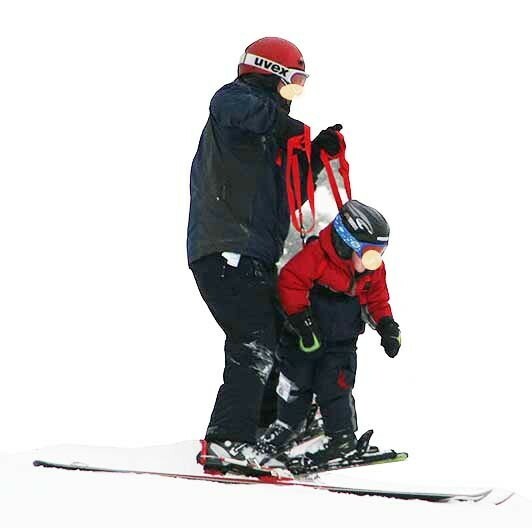 Is how you and your child want to experience skiing for the first time together?